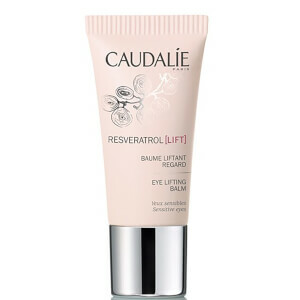 Regenerate skin overnight with the Caudalie Resveratrol Lift Night Infusion Cream, a hydrating moisturiser developed to visibly lift and define facial contours, including the cheekbones and jawline. Formulated with the brand's patented vine resveratrol to firm and tighten skin, the fast-absorbing cream is infused with hyaluronic acid to plump and smoothen the appearance of fine lines and wrinkles, revealing a younger-looking complexion. Non-greasy and lightweight, the radiance-reviving cream is packed with nourishing shea butter and grape seed oil to restore skin whilst you sleep. 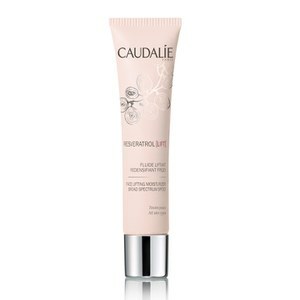 Ideal for use on all skin types, you can wake up to rejuvenated, refreshed skin with a silky soft texture. E.N. Paraben, sulphate and phthalate free. Non-comedogenic. Apply in the evening to face and neck. Water, Glycerin*, Butylene Glycol, Isononyl Isononanoate, Caprylic/Capric Triglyceride*, Cetearyl Alcohol*, Hydrogenated Vegetable Oil*, Vitis Vinifera (Grape) Seed Oil*, Peg-20 Stearate, Squalane*, Citrus Aurantium Amara (Bitter Orange) Flower Water*, Butyrospermum Parkii (Shea) Butter Extract*, Carbomer, Palmitoyl Grapevine Shoot Extract*, Parfum (Fragrance), Caprylyl Glycol, Potassium Sorbate, Polyglyceryl-10 Pentaoleate*, Palmitoyl Grape Seed Extract*, Xanthan Gum, Tocopheryl Acetate*, Sodium Hydroxide, Verbena Officinalis Extract*, Tilia Cordata Extract*, Ceramide 3, Sodium Hyaluronate, Acrylates/C10-30 Alkyl Acrylate Crosspolymer, Sodium Carboxymethyl Beta-Glucan, Tocopherol*, Helianthus Annuus (Sunflower) Seed Oil*, Linalool, Limonene, Coumarin, Butylphenyl Methylpropional. *Plant Origin. Fantastic night balm, lovely natural smell. You don't need a lot . Skin feels super smooth in morning. Very good value for money. Pleasant to use: leaves skin feeling supple and cared for. Love this! It is the best night Cream i have ever used.